CSS lets you create professional-looking websites, but learning its finer points can be tricky—even for seasoned web developers. 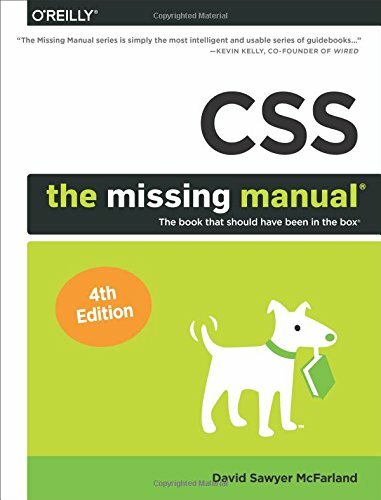 This fully updated edition provides the most modern and effective tips, tricks, and tutorial-based instruction on CSS available today. Learn how to use new tools such as Flexbox and Sass to build web pages that look great and run fast on any desktop or mobile device. Ideal for casual and experienced designers alike. Start with the basics. Write CSS-friendly HTML, including the HTML5 tags recognized by today’s browsers. Design for mobile devices. Create web pages that look great when visitors use them on the go. Make your pages work for you. Add animations that capture the imagination, and forms that get the job done. Take control of page layouts. Use professional design techniques such as floats and positioning. Make your layouts more flexible. Design websites with Flexbox that adjust to different devices and screen sizes. Work more efficiently. Write less CSS code and work with smaller files, using Syntactically Awesome Stylesheets (Sass). If you have any questions about this product by O Reilly Media, contact us by completing and submitting the form below. If you are looking for a specif part number, please include it with your message.